A NEW stretch of national primary road will have to be built at a cost of €150 million in Co Kerry because of "bad planning", the president of An Taisce, Eanna Ní Lamhna, has charged. On a visit to the county she became embroiled in sharp exchanges with local councillors about the role of An Taisce both locally and nationally. The result was that the road could not be widened to cater for increased traffic and a new one has to be built at huge cost to the people of Kerry, she said. Ms Ní Lamhna was defending her organisation against attacks by the mayor of Kerry, Michael Healy-Rae, during a visit to the county. He said An Taisce was "a secretive . . . interfering" organisation when it came to the planning process and was too active in Kerry on planning matters. Mr Healy-Rae said An Taisce interfered in the planning process when it came to young people wanting to build homes on family-owned land and it should stick to "real" environmental work such as its green-flag campaigns. However, Ms Ní Lamhna said planning was at the heart of the environment issues . She said it was "a bit rich for Michael Healy-Rae to give out about An Taisce" when until very recently county councillors in Kerry were only too happy to vote through Section 4s (Now Section 140s) against planners' advice. "An Taisce is set up to protect the environment. As it happens one of the biggest things that has damaged the environment is the huge amount of badly planned houses. Take for instance the road between Tralee and Killarney . . .
"There's houses on it from one end to the other. Most of these were not put in by the planners. They were put in by Section 4s voted through by the councillors," she said. A senior Kerry County Council engineer confirmed yesterday that widening the existing 27 kms section of the N22 between Farranfore and Killarney to accommodate greater traffic had to be ruled out on safety and other considerations because of the number of houses lining this part of the road between Tralee and Killarney. The capacity of the road had been reduced by the number of dwellings. Widening would "not have been feasible" as there would have been too many alterations to front gardens and so on. A parallel road would have been needed to accommodate the existing houses, senior executive engineer Paul Curry said. The estimated cost of "in excess of €150 million" included land purchase. A completely new route has been selected. The road is at the preliminary design stage. Because of lack of funding for national roads outside the major corridors it would be at least 2010 before the compulsory land purchase was completed, Mr Curry said. Mr Healy-Rae has defended the councillors' motions that led to the problem and said he was proud to have given the people on the main road a roof over their heads. "Any Section 4 that either my father [the TD and former councillor Jackie Healy-Rae] or my brother Danny [a Kerry county councillor] or myself ever put in ourselves or supported we're very proud of and glad if there's a roof over somebody's head today that they mightn't have had otherwise. I'll make no apology for that to Eanna or anyone else." The people living on the Tralee Road would not appreciate Ms Ní Lamhna coming down to Kerry and telling them "their houses shouldn't be there at all", he said. He was speaking during a debate on Radio Kerry with Ms Ní Lamhna who was on a visit to Kerry to talk about the work of An Taisce. IARNRÓD ÉIREANN'S planned underground link between Dublin Docklands and Heuston Station in Dublin would have almost twice the capacity of Metro North, featuring stations at the back and front gates of Dáil Éireann, according to details released by the company yesterday. In a presentation to the Institution of Engineers in Dublin last night, Iarnród Éireann revealed its "Dart underground" would feature 20 trains per direction per hour delivering a capacity of 70,000 passenger journeys per hour - significantly more than the capacity of Metro North, which envisages 36,000 to 40,000 people per hour. The company refused to say how much the project would cost yesterday, but when first mooted in 2003 it was costed at €1.3 billion. Sources indicated that it would now be in the region of €2 billion. As such it compares to the construction cost of Metro North. The 5.2km line would link up all rail modes, surface level Dart, Commuter, Intercity, Luas and metro through five stations at Docklands, Pearse St, St Stephen's Green, Christchurch and Heuston Station. 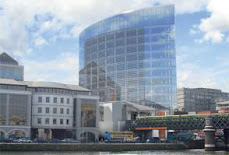 Docklands Station is to be located north of the Liffey with an entrance at Spencer Dock's central square, while the Pearse underground station will have new entrances from the existing station and a new Trinity College development to the east. Current engineering works at Pearse Station are taking into account the prospect of the new underground line. But work cannot begin on it until a railway order is applied for and granted. The planned line, running at right angles to the existing railway, will also have an entrance at Merrion Square, adjacent to the back gate to Leinster House. Adjacent to the front gate of Leinster House on Kildare Street there is to be an entrance to the St Stephen's Green underground station, which is to be the major hub for Dublin's commuter network, sharing a concourse with Metro North and connecting to the Luas. Station entrances will be from the Luas terminus, Grafton Street, St Stephen's Green north, and Kildare Street. Christchurch underground station would see the area served by rail for the first time, with entrances from Winetavern Street and the centre of the Civic Offices complex. Heuston underground station will be accessed directly from the main front concourse of Heuston Station. Asked about the twin entrances beside Leinster House, an Iarnród Éireann spokesman said the company "wanted Dart underground to be available to all". The company said it hopes to apply for a railway order next year and the project is to be completed by 2015. The Dart underground line is to be developed as a twin-bore tunnel at about 30 metres deep, utilising five tunnel boring machines cutting through a predominantly limestone geology. According to Iarnród Éireann, the interconnector offers the potential for a dramatic change in its services, with commuter capacity rising from the current 33 million per year to about 100 million journeys a year. Commenting on the project yesterday, chairman of CIÉ Dr John Lynch said it would be "the single most important piece of infrastructure in the State to ensure a modal shift from private to public transport, and free future generations from the gridlock which cripples the greater Dublin area today." 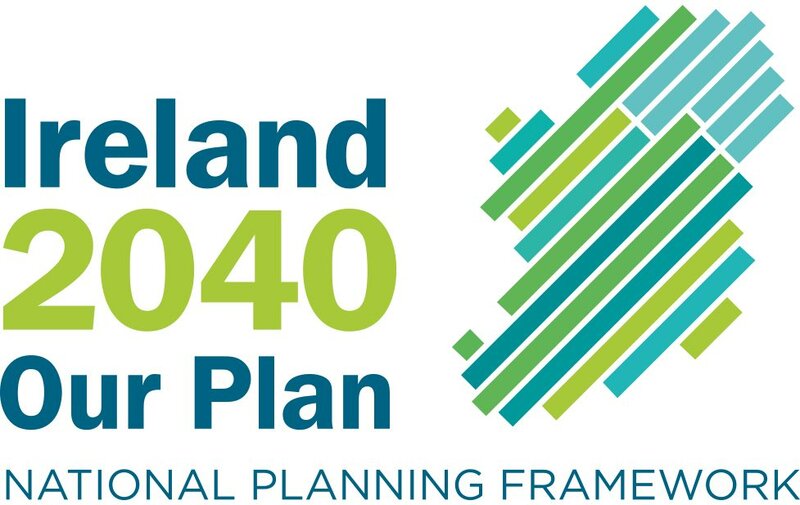 Dr Lynch described the plan as "a central part of the Government's Transport 21 10-year transport investment plan", while Minister for Transport Noel Dempsey said it was "one of the most critical elements of Transport 21". A CONTROVERSIAL four-storey social and affordable development in the south Dublin village of Sandymount has been rejected by Dublin City Council. The council ruled that the 15-unit apartment block was a traffic hazard and would endanger public safety. The application for the scheme at the rear of the Winfield car showrooms on Church Avenue was lodged by developer Seán Dunne. Mr Dunne is awaiting planning permission for a mixed-use development with a 37-storey tower at the Jurys/Berkeley Court site in nearby Ballsbridge. Mr Dunne had undertaken to provide up to 80 social and affordable homes within the Dublin southeast region depending on the number of apartments that would be eventually approved for the hotel sites. The planning application sought permission for his first scheme of social and affordable homes on the site of a vacant, detached bungalow and a former community hall. Objections to the development were lodged by deputies Lucinda Creighton (Fine Gael) and Chris Andrews (Fianna Fáil) and councillors John Kenny (Progressive Democrats) and Paddy McCartan (Fine Gael). The Sandyford and Merrion Residents' Association also opposed the scheme. Dublin City Council planners said the development, which contained 12 two-bedroom apartments, one three-bedroom unit and two one-bedroom homes, would be a traffic hazard. Its entrance on to "a heavily trafficked road" with a one-way access ramp could conflict with pedestrian movements. It also said the development did not contain sufficient private open space for residents. It would result in sub-standard residential amenities for occupiers of the scheme, the council said, and would breach the standards of the city development plan. Ms Creighton yesterday welcomed the council's decision. "I had objected to Seán Dunne's application on the grounds that it would have a detrimental effect on traffic and pedestrians in the area. "I am delighted to see that Dublin City Council has agreed with me and with the local residents who opposed this development." Ms Creighton said objectors had been portrayed as being against affordable housing, though Mr Dunne had still not come to any agreement with the council regarding his obligations under Part V for the Ballsbridge site. "Nowhere in this application was there any indication that it was anything other than another business venture for the applicant," she said. A spokesman for Mr Dunne's company Mountbrook said it was committed to providing 100 per cent of the Church Avenue site to the city as part of the Jurys/Berkeley Court scheme. "We will review the reasons for the refusal, and will meet with planners in Dublin City Council to fully understand the reasons outlined," he said. "We will then review our position." PROPERTY developer Sean Dunne has been refused planning permission for the construction of 16 social and affordable housing units in south Dublin. Dublin City Council refused permission for the four-storey building on Church Avenue, in Dublin 4, due to traffic concerns and the lack of open space in the planned project. The proposal by Mountbrook Homes, Mr Dunne's company, was put forward to fulfil his obligations to provide affordable housing as part of plans to build a 37-storey tower on the Jurys/Berkeley Court site in Ballsbridge. The 16-unit development attracted 18 objections from locals, including Fine Gael TD Lucinda Creighton and Fianna Fail TD Chris Andrews. Permission was refused by the council as a "traffic hazard" would be created, said the verdict of the application, and because there was an entrance to a busy road and potential problems for pedestrians. In addition, there was insufficient private open space for those who would live in the proposed complex. A spokesman said Mountbrook was still "committed to offering 100pc of the site" for social and affordable housing, and would meet the council. Lucinda Creighton welcomed the decision, saying: "I objected to Mr Dunne's application on the grounds that it would have a detrimental effect on traffic and pedestrians, and I am delighted to see that Dublin City Council has agreed with me, and local residents who opposed this development." THE country’s largest private waste collector claimed yesterday that a decision by Bord Pleanála to turn down its plans for a controversial €20 million superdump would only compound the waste crisis facing the Munster region. Greenstar had planned to build the superdump at Ballyguyroe, near the village of Kildorrery, in north Cork, which would be capable of handling 140,000 tonnes of waste a year. The waste was to be imported from all over Munster. The company had appealed a refusal by Cork County Council on March 26 last. Six months later Bord Pleanála held a three-day oral hearing into the project. Greenstar had already been granted a waste licence for the facility by Environmental Protection Agency. Greenstar said the landfill had been intended to form a critical part of its integrated waste management infrastructure in the south of the country. A company spokesman said it wanted to express its “disappointment and surprise” at the board’s reason for refusing planning — which was that it is not satisfied there is a need for an additional landfill capacity to serve the Cork region or the counties. At the oral hearing in Mallow, the county council had argued that there was sufficient capacity in Cork and that it was preparing to open its own superdump near the village of Bottlehill — which would adequately handle the amount of waste generated in the county. Greenstar again claimed yesterday that the Cork region is in the midst of a landfill capacity crisis. A company spokesman said as a result, waste is being exported long distances for disposal and there have been recent cases of large-scale illegal dumping. “There is a short to medium term need for 200,000 tonnes per annum landfill capacity in the Cork region alone. In addition, and even taking the proposed landfill facility at Bottlehill into account, the Munster region has a need for 300,000 tonnes per annum of landfill capacity,” said the Greenstar spokesman. He reiterated claims that the county council’s Bottlehill landfill will only be allowed to accept pre-treated and baled waste, and therefore will not be able to open until a baling facility is developed. He claimed this could take another four to seven years. Greenstar said the decision only further compounded the landfill capacity crisis in Munster. “The proposed landfill facility at Ballyguyroe is intended to provide a short-term solution to the impending waste crisis in Cork and a secure outlet to meet the long-term residual disposal needs of Munster,” the spokesman said. An Bord Pleanála said it decided to refuse permission because it was not satisfied that Greenstar had demonstrated the need for additional landfill capacity to serve the Cork region or adjoining counties. The board decided that the need for the landfill had not been adequately demonstrated, and would be contrary to the national waste policy as set out in the directives Changing Our Ways (1998), Waste Management: Taking Stock and Moving Forward (2004) and the National Strategy for Biodegradable Waste (2004). These directives all seek to reduce the amount of waste going to landfill in accordance with the principles of the EU Landfill Directive, where landfill disposal is the least favoured option. Cork County Council said it welcomed the decision, which it said upheld the local authority’s arguments. It dwarfs the scale and impact of the Port Tunnel. The €2bn underground Dart through the heart of Dublin city centre will run every three minutes and carry up to 70,000 commuters an hour. New images showing the scale of what will be one of the biggest ever infrastructure projects in Ireland, due to open in 2015 and comprising two entirely new Dart services, were also released yesterday. The 5.2km line, an underground tunnel from the Docklands to Heuston station, will increase rail capacity from 33 million passenger journeys annually now to over 100 million. Dr John Lynch, Iarnrod Eireann and CIE chairman, yesterday described the Dart underground line as "the missing link, not only in our rail infrastructure, but in our transport infrastructure". "It will be the most critical project under Transport 21 in enabling people to switch from private transport to public transport, and will transform the capacity of the greater Dublin area rail network." As part of the exciting plans, the northern line Dart services from Balbriggan and Howth will branch off the existing line after Clontarf Road, going underground at Docklands station, where they will connect with the red Luas line. The Dart interconnector will continue underground to Pearse Station, before connecting with the green Luas and Metro at St Stephen's Green, and proceeding to Heuston. The Dart will go overground to Adamstown and Hazelhatch in Co Kildare. A second new Dart line will connect Maynooth -- and a massive M3 park and ride at Pace -- to the existing Bray/Greystones Dart line, stopping at Glasnevin and Drumcondra. Crucially, the new links join all rail modes -- Dart, commuter rail, intecity, Luas and the proposed Metro. A railway order application is being submitted for the project in 2009. - 2001: Project included in blueprint for integrated greater Dublin transport. - 2006: Scheme is approved under the massive €34bn Transport 21 package. - 2008: Detailed site investigations. - 2008: Iarnrod Eireann will apply for a Railway Order for the project -- equivalent to planning permission. - 2009: Public hearing into the underground, followed by an inspector's report. The many parts of the project will then be put out to tender. - 2010: Construction work will begin involving a twin-bore tunnel at 30 metres depth. Some stations will be mined (Christ Church, St Stephen's Green), with others built using 'Cut and cover' methods (Heuston, Docklands). A CLAIM by An Taisce president Eanna Ní Leamhna that a new €150 million bypass must be built between Tralee and Killarney because too many houses have been erected on the existing road was confirmed by Kerry County Council yesterday. Ms Ní Leamhna, addressing a public meeting in Killarney, said houses had been built from end to end of the busy road. “These houses have not been put there by planners, but have been voted through by councillors who ignored the advice of their planners and passed Section 4 motions,” she said. A council spokesman said engineers had looked at the possibility of widening and upgrading the existing Killarney/Farranfore road, but ruled it out because there were too many houses, exits and entrances. However, there are big delays in building the long-awaited bypass as money is being diverted by the National Roads Authority to major inter-city routes and roads in the east cast. Compulsory land purchase may not be completed until 2010 and it could be many years before the 27km Kerry road is completed. Ms Ní Leamhna clashed with Kerry Mayor Michael Healy-Rae who said he was “very proud and glad” that Section 4 motions moved by himself, his father and his brother had enabled people to live along the Tralee/Killarney road. Mr Healy-Rae launched a forceful attack on An Taisce, claiming it was a “secretive” organisation which meddled and interfered with young people who wished to build houses on their family farms. But this was firmly rejected by Ms Ní Leamhna who said An Taisce was an open organisation which anyone was welcome to join. Questioning the need for all the new houses, she said the last census had shown 25% of all houses in Kerry were empty. She also denied An Taisce interfered in the planning system, saying it was trying to protect the environment. Meanwhile, the chairman of the Irish Rural Dwellers’ Association (IRDA), Michael Doyle, announced a day of protest outside Kerry County Council headquarters, in Tralee, to highlight difficulties people have in getting planning permission. “We want to concentrate the minds of politicians, the county manager and planners on problems experienced by people in rural Kerry,” said Mr Doyle, from Beaufort, Co Kerry. THE GOVERNMENT will actively pursue efforts to make the Burren Ireland's next Unesco world heritage site, Minister for the Environment John Gormley is to disclose this evening. The Green Party leader wants to achieve the status for what he described as the Burren's "unique environment" within the lifetime of the Government. There are only two world heritage sites in the State - Newgrange in Co Meath and the monastic settlement on Skellig Michael off the coast of Kerry. Both were added to the list in the 1990s.The Giant's Causeway in Co Antrim has been on the list since 1986. In addition, the monastery at Clonmacnoise in Co Offaly is also at an advanced stage of the process and there are hopes that it can attain world heritage status within 18 months. In an address to be delivered at the BurrenLife conference in Ennistymon, Co Clare, tonight, Mr Gormley will say that he plans to redouble Ireland's efforts at achieving world heritage status for a number of additional sites in Ireland, with Clonmacnoise and now the Burren at the top of the list. Both sites were included on a tentative list that was submitted to Unesco in 1992. A site achieves the status of world heritage site when it has a cultural or natural significance which is "so exceptional as to transcend national boundaries and to be of common importance for present and future generations of all humanity". There are some 851 sites on the world heritage list in 141 countries. They include monuments and landmarks as diverse at the Great Wall of China, the Great Barrier Reef, the Sydney Opera House, Machu Picchu in Peru, as well as the historic centres of famous cities such as Venice, Prague, Rome and Paris. The Burren, if accorded the status, would be a "different type of Unesco site", Mr Gormley added. At 50,000 hectares it is a multiple of the size of the other two sites in Ireland. However, he said: "It allows for dynamic living and working environments like the Burren. There are many examples around the world of such sites, most notably the island of Öland in Sweden." In the speech, Mr Gormley will accept that Ireland's current tally is too low and also concede that only limited work has been done to remedy that in the past decade. According to Mr Gormley: "The Burren is the finest example in western Europe of a landscape moulded by the combination of glacial activity and the solution of limestone by water." Besides its unique landscape and geology, the Burren is also renowned for its botanical and archaeological richness and for its wide variety of bird and animal species. However, the Minister will warn that efforts to achieve Unesco status could be threatened by over-intensive farming methods. Another slightly unexpected threat has been the boom in garden landscaping in recent years. It has resulted in the removal of large quantities of water-worn limestone pavement. As a first step, the Department of the Environment is expected to begin work on a draft management plan for the Burren. Judgment was given by Mr Justice Clarke on January 11th, 2008. Ryanair are prevented by the terms of a settlement of previous proceedings with the Dublin Airport Authority from challenging the granting of permission by An Bord Pleanála for Terminal 2 at Dublin Airport, and so their proceedings against the board should be dismissed. The case concerned a long-running dispute between Ryanair and the Dublin Airport Authority about a second terminal at Dublin airport. An Bord Pleanála had granted planning permission for the terminal, and Ryanair wished to challenge that decision. The DAA sought to have such proceedings struck out on the grounds that Ryanair was precluded from bringing them under an agreement entered into arising out of previous proceedings. The issue was whether or not the proceedings now being brought by Ryanair fell under the terms of that agreement. An Bord Pleanála did not participate in the proceedings. The settlement referred to resulted from proceedings brought in 2005 by Ryanair against the Taoiseach, the Minister for Transport, the DAA and the Attorney General, following a Government decision that a second terminal should be commissioned and built by the DAA. These arose out of a contention made by Ryanair that the costs associated with the operation of Dublin airport are too great. In connection with the proposed second terminal, it contended that it would be built on too great a scale and to too high a standard, thus generating higher operating costs which would be passed on through operating airlines to their customers. Ryanair had its own alternative proposals for a second terminal. Following the Government decision, the DAA appointed consultants Pascall and Watson to review previous planning work on a second terminal, including consulting with the main home-based carriers. The consultants made a series of recommendations in relation to the location, operation and capacity of the proposed new terminal, and their report was accepted by the DAA, which in September announced a plan for a 50,000 square metre passenger terminal, costing between €170 million and €200 million. The settlement of the 2005 proceedings took place in March 2006, and Ryanair withdrew their challenge to the validity of the Government decision. Under the terms of the settlement, "Ryanair confirms and agrees with the Defendants not to bring any further challenges against or arising out of or connected with the Government's decision of the 18th May 2005 concerning T2 or in respect of any implementation in whole or in part of the Medium-Term Masterplan for infrastructural facilities prepared by Pascall and Watson in September 2005 (including the plan for the new Terminal and associated pier facilities) (Pier E) which the DAA may decide to effect." A letter from the DAA's solicitors accepted this agreement, seeking confirmation that there were "no further terms or collateral agreements". This was agreed. Mr Justice Clarke said that he had to decide whether those terms of settlement precluded the challenge which Ryanair now sought to bring to the decision of An Bord Pleanála. He had to consider the construction of agreements, the application of this construction to the facts of this case, and whether the proposed terminal was something entirely different from what had been proposed in 2005, which would mean it fell outside the terms of the agreement. He dealt first with the principles of construction of agreements, which he said had to start with what the document actually stated. The context in which it was entered into could only be used as an aid to construction. The agreement prevents Ryanair from bringing any challenge "arising out of or connected with" the Government's decision on Terminal Two (T2), which required it to be built by the DAA by 2009. Given that this deadline required planning permission to be obtained quickly, "it seems to me clear, therefore, that a challenge to a planning application for a second terminal is a challenge 'arising out of or connected with' the Government's decision," he said. "I am, therefore, satisfied that any challenge to a planning application for a second terminal in Dublin airport is precluded by the first part of para. 2 of the settlement agreement." However, in case he was wrong in that, Mr Justice Clarke went on to consider whether the challenge would also be precluded by the second part of that paragraph, which referred to "the implementation of the Medium-Term Masterplan for infrastructural facilities prepared by Pascall and Watson in September 2005". This required examining whether or not the present proposals were in fact an implementation of the "Masterplan". The Pascall and Watson plan was quite general, he said. Despite this, Ryanair had signed up to a settlement containing it, and must therefore be bound by its terms, even if the DAA present proposals were somewhat larger than it anticipated. "It difficult to avoid the conclusion that if Ryanair wished to free itself from being precluded from challenging a T2 proposal which was larger or more costly than what it believed it was signing up to, it should have insisted specific terms being included in the settlement agreement," he said. The only way it could challenge the proposal was if what was proposed was so different from the parameters of the Pascall and Watson plan as to be something entirely different. This was not the case, and the consultants' plan specifically suggested that it might "be prudent to oversize the initial build" to allow for later expansion. Ryanair had also argued that, by permitting it to make observations to the planning authorities, the DAA had not sought implementation of the prohibition on a "challenge" to the development, so it was now estopped from seeking to have the present challenge dismissed. Mr Justice Clarke said he was inclined to the view that a person making observations in the course of a planning application could not be regarded as challenging the proposed development. The Department of Education is to use new satellite technology to help it ascertain where schools will need to be built in future to meet local needs. It is predicted that the schoolgoing population will increase by some 100,000 over the coming years, raising the primary school population to well over 500,000. Last September a lack of school places in north Dublin meant some children could not start school immediately when the new term began. The department is today advertising in national newspapers for tenders to supply a geographical information system (GIS) which will allow the forward planning section of the Department of Education and Science to use an up-to-date technical solution to help in planning the location of schools in the future. Minister for Education and Science Mary Hanafin said the department was identifying the areas where significant additional school accommodation would be needed for 2009 and onwards. A GROWING number of high-rise buildings are taking from the beauty of Killarney and blocking off views traditionally enjoyed by local people and visitors, it has been claimed. Long-serving Killarney town Councillor Michael Courtney, Independent, described some of the modern buildings in the tourist mecca as being “like prison blocks”. An Taisce also voiced concerns and highlighted the need to conserve the traditional architecture of Killarney, a town started by the local landlord family, the Brownes (Kenmares), in the mid-18th century. The Killarney Town Development Plan 2009-2015 is being reviewed and dozens of submissions have been made. An Taisce said high-rise development was not popular as it was not seen as being child-friendly and was out of scale with existing buildings. An Taisce referred to a multi-storey building, encompassing offices and retail outlets, under construction at Tralee Road roundabout. It said the building had been the subject of much adverse comment by local people because of its impact on the view. The development plan should limit the height of buildings in Killarney, An Taisce suggested. “Depending on location, most buildings should not exceed three to four stories,” it said. Independent Councillor Michael Gleeson said Killarney was different to many other towns because views were so important. Fianna Fáil Councillor Tom Doherty criticised the design and materials used in some new buildings which, he claimed, were ugly and more in keeping with the 1970’s era. Meanwhile, An Taisce has offered the services of its heritage officer, Ian Lumley, free of charge to help the council identify significant buildings that should be conserved. The older streets of Killarney still retained much traditional architecture, and High Street, New Street, Main Street and Plunkett Street should be designated architectural conservation areas (ACAs), according to An Taisce. PROPERTY developer Sean Dunne has warned that foreign investment into Ireland will dry up if he does not receive planning permission for his proposed 1.5bn 37-storey tower at the Jurys hotels site in Ballsbridge, Dublin. Dunne, who has taken a huge financial gamble by buying the site and desperately needs planning permission, said the city was facing an office accommodation crisis and if "firms cannot find space in the city centre, competing cities in Europe and the rest of the world will be looked to". The justification for the site is in a document commissioned by Dunne and seen by the Sunday Tribune. The document says the decision on planning permission "has implications for the national economy as a whole". It forms part of Dunne's final bid to persuade planners to back the scheme. The assessment claims Dunne's project will generate over 4,000 jobs and contribute 313m annually to the local economy. Dunne also claims his project would help recover some of the estimated 6.5bn a year lost from the economy by Irish people sending their money abroad. He said the retail element of his scheme would "enhance the city's attraction and competitiveness as an international shopping destination". The strident tone of the document underlines how vital it is for Dunne to secure planning permission as quickly as possible. The developer has already borrowed over 750m from the banks for the project, with the Ballsbridge site itself acting as security for several loans from Ulster Bank. A spokesman for Dunne also confirmed he had yet to arrange financing for construction of the project. However, fellow developer Ray Grehan, who secured permission for a 15-storey tower on a neighbouring site, said this was usual and that he hadn't secured funding for his site either. He said, however, that he was confident of securing the 500m to complete his scheme. Although publicly Dunne's firm, Mountbrook Homes, remains bullish, some in the property business privately express reservations about whether his plans are achievable. The doubts centre on the fact that it involves the construction of almost 28,000 square metres of office space at a time when supply is outstripping demand. A €5 million extension to the main terminal building at Knock airport has got the final go-ahead. The new terminal area in the townland of Kilgarriff west, comprises a departure lounge, retail, security screening, baggage handling area, check-in hall, office accommodation and associated works. Work on the new terminal is expected to begin in April and be completed by the end of the year. Environmentalist Peter Sweetman had complained that excessive aircraft noise would be created in the area. He had appealed to An Bord Pleanála a decision by Mayo County Council to grant permission for the 1,500 metre extension which would include a doubling in size of the check-in area as well as new security screening and additional seating at departures. However, airport chief executive Robert Grealis yesterday welcomed the ruling, saying the increased space was "desperately wanted". "The building's current capacity is 500,000 passengers per annum. We are projecting 700,000 passengers this year so it's a tight squeeze, especially in the summer season." A COMMUNITY group has reacted angrily to an announcement that Indaver Ireland is seeking planning permission for a €130 million incinerator for household and commercial waste. Indaver said it had decided to bypass Cork County Council's planning office and instead lodge the application with An Bord Pleanála for the project at Ringaskiddy, Co Cork. The company has submitted a pre-consultation application for the incinerator, which will burn 100,000 tonnes of waste per annum, to the Strategic Infrastructure Development section of An Bord Pleanála. Indaver believes the incinerator represents a piece of national infrastructure and the application should therefore be considered by An Bord Pleanála rather than the local authority. Cork Harbour Alliance for a Safe Environment said the Indaver move was designed to bypass local objections. "It is quite depressing from the community's perspective. We can make a submission to An Bord Pleanála and I presume we will. We are angry about this. Indaver has never sought to seriously engage with the local community," said an alliance spokesman. The company has already been granted planning permission for a 100,000 ton per year hazardous waste incinerator in Ringaskiddy and intends to build the other incinerator close to this site. Indaver said it intends to supply local industries with renewable energy, which will be a byproduct of the incineration process. The company's project director Jackie Keaney said the development of alternative treatment capacity for residual municipal waste has become critical as Ireland approaches its first landfill diversion target in 2010. "Our proposed development will help implement Irish waste policy to divert biodegradable municipal waste from landfill. Environmental Protection Agency waste figures indicate that we must divert over 33% of residual waste currently going to landfill by 2010, and over 55% by 2013. EPA reports also warn that municipal waste to landfill is on the increase and we must put in place as soon as possible alternative waste facilities to treat this waste," said Ms Keaney. She said the combined waste-to-energy facility will produce more than 60 megawatts of steam, which can be used in a combined heat and power plant to generate electricity and steam or hot water. Indaver believes the location of the facility on the Ringaskiddy peninsula is ideal, because it will be able to provide this steam or hot water to the local Pharmachem industry through a district heating network. Will landowners forfeit money if power lines are put underground? LANDOWNERS along the proposed routes of the 400kV EirGrid power lines should indicate if they would be willing to forfeit compensation if the power company decides it could put the cables underground between Batterstown and Tyrone, the Minister for Transport and Meath West TD, Noel Dempsey, said this week. He was speaking following the announcement by the Minister for Communications and Energy, Eamonn Ryan, that his Department is to commission an independent study on transmission line infrastructure in Ireland, which will address the implications of installing underground cables relative to overhead transmission lines. Mr Dempsey had requested Mr Ryan to consider such a study, and the communications minister made the announcement last week as the Joint Oireachtas Committee's hearings on the infrastructure were drawing to a close. Fears over the health implications of the overhead power lines have been the main reason for the opposition to the pylons and lines by communities across the county, as well as in Cavan and Tyrone. Other issues being raised include environmental, heritage, livelihood and land value concerns. Mr Dempsey said that a major cost of under-grounding cables, in the region of 25 per cent of the eventual figure, was the land cost. "It would be helpful if the campaign groups involved, and individuals involved, would say if they would be willing to allow EirGrid bury the lines under the land without seeking compensation, as this would reduce the cost considerably and maybe make it possible. I make the suggestion because a lot of people opposing the power lines have already suggested to me that they would be willing to go down this route and I want to establish if it is a common feeling," said the minister. This would need to be done now in order for it to be included as a factor in the study commissioned by Minister Ryan in comparing the costs of cable vers'us power lines. Mr Dempsey added that he was sensitive to the fact that people would be entitled to compensation, but he said he was attempting to explore all options. Minister Eamonn Ryan said the study will be conducted on a national basis and will offer professional advice on best international practice for the construction of transmission lines. It will consider the relative performance and implications of underground cables and overhead lines, having regard to technical characteristics, reliability, operation and maintenance factors, environmental impact, possible health issues and cost. "I am aware of considerable concern in local communities about the impact of overhead lines," Minister Ryan said. "Local groups and deputies from all sides of the House have expressed their desire for an independent study to consider all the issues involved. I am happy to facilitate the furnishing of this information for due diligence and in the interest of the public good." The study will be commissioned over the coming weeks with a view to its completion and publication in April. The move has been welcomed by public representatives in Meath, as well as EirGrid, while the North East Pylon Pressure (NEPP) group gave it a "guarded welcome". Dermot Byrne, Eirgrid chief executive, said: "We in EirGrid welcome this move and, indeed, we note the request right across the political spectrum for such a study. We are happy to assist the study in whatever way we can." NEPP says that if the study is to have any credibility, the consultants appointed must be of the highest international repute and experience and entirely independent of EirGrid and the Department of Energy. The group says that EirGrid must make no further decisions in relation to its proposal until the study has been completed and considered by the minister, the Government and the wider public. The study must treat the existing EirGrid proposal of three possible routes for overground cables in the northeast as no longer relevant and - instead - look at the optimal route for under-grounding with a clean sheet and without pre-conditions, the NEPP said. It must also take into account the existing criteria already conceded by EirGrid itself for route selection, and in comparing underground cabling with over-ground, the study must look at the many examples worldwide where underground cabling has been used over long distances and in environments similar to the north-east, it added. Minister Ryan's decision to commission a study was also welcomed by Meath Fianna Fail TDs Johnny Brady and Thomas Byrne, Fine Gael's Shane McEntee and Damien English, and the Meath Green Party secretary and recent Meath East election candidate, Sean 6 Buachalla. MINISTER Eamon 6 Cuiv and Deputy Frank Fahey have joined forces in a last ditch attempt to save the backers of a marina project in Roundstone from having to fork out substantial sums from their own pockets to the banks. The Roundstone Marina company - comprised largely of local people - took out bank loans totalling over EUR260,000 five years ago in the belief that Government grants would be available to pay the money back. The people in the Roundstone Marina company are working in a voluntary capacity on the project. Four business people with strong links to Roundstone - and including the creator of Riverdance, Bill Whelan - gave personal guarantees in respect of the loans. But the Marina company, and the guarantors, have been caught in the centre of a long running battle between Frank Fahey and officials from the Department of the Marine. The controversial 34-berth marina project in Roundstone Bay was first mooted when Deputy Fahey was the Cabinet Minister with responsibility for the Marine between 2000 and 2002. The estimated cost was approximately EUR2.5m. The then-Minister Fahey committed the Department of the Marine to giving strong financial backing to the marina. However, since Fahey left the Ministry departmental officials have raised doubts about the marina project and have raised questions about the wisdom of spending money on it. The Roundstone Marina company got full planning permission five years ago. They also got all off the foreshore and marine licences that were needed for the project. But the local company directors had to take out large bank loans to cover the cost of consultancy work and the planning process. It is understood that a local bank branch has now handed the matter over to its Dublin headquarters and that moves may be afoot to get the money back. But the Marina company does not have the funds to pay up. This could leave individuals in the Roundstone Marina Company and/or the four guarantors with the responsibility of paying the EUR260,000 out of their own pockets. According to local sources the situation has reached the point where demands for the money - or Court action - could follow soon. It is understood that representatives of the Roundstone Marina Company met the Minister for Community, Rural and Gaeltacht Affairs, Eamon 6 Cuiv and Deputy Frank Fahey in Ballyconneely during the week to discuss the matter. Following on that, Deputy Fahey said that the Marina project was now coming under the umbrella of Minister 6 Cufv's Department. It is not clear as to how a marina project could be handled in the Department of Community, Rural and Gaeltacht Affairs but there is some talk thai it could involve liaison with the Department of the Marine. It is understood that the matter is to be raised with Finance Minster, Brian Cowen with a view to finding a sum of money to back the project. But the most immediate priority is to ensure thai the voluntary community group and/or the guarantors who got into the venture in good faith are not hit with a big bill. It is not known yet if the banks will be willing to hold back further - they have been waiting for money for six years - as a result of the new efforts involving Minister O Cufv and Deputy Fahey. The Roundstone Marina was one of four such projects along the south and west coast that were backed by Frank Fahey when he was at the Cabinet table. The projects came in for some criticism from people such as former Green leader, Trevor Sargeant, T.D - now a junior Minister in the FF/Green/PD Government. These criticisms have abated for sometime past. Deputy Fahey has always defended the projects strongly and said they opened up new possibilities in tourism in the wesl of Ireland. Officials in the Department of the Marine continued to demand more information and asked for different structures in the Roundstone Marina company in recent years. Deputy Frank Fahey says that all that was required has long since been complied with. There has been speculation that Fahey - who pushed through projects such as the marina's and Rosaveal Harbour while certain civil servants were unhappy about them - insisted that money would come to west of Ireland projects when he was in the Cabinet. This may have led to tensions between himself and Dublin based civil servants. "It's a crying shame that local people here in Roundstone who are doing their best for the community should be suffering because of that", said a local community activist who did not want to be named. COLOURFUL, CO-ORDINATED and clearly distinguishable stood a whopping 1,500 protestors at Trim Castle last Friday as they voiced their opposition to EirGrid. Dressed in bright yellow ponchos and waving protest placards and colourful red balloons, crowds of concerned families gathered against EirGrid's proposed 58 kilometres of high power lines through the North East. The massive entourage of protestors from the North East Pylons Pressure (NEPP) group gathered outside the spring seminar of the Association of Municipal Authorities of Ireland (AMAI), which was attended by several hundred councillors from all over Ireland. The delegation met the keynote speaker at the conference, Maire Hoctor TD, Minister of State at the Department of Health, to outline their case. Ms Hoctor was standing in for Minister John Gormley, who had pulled out of the conference, at which he had been due to be the keynote speaker. NEPP chairman Francis Lally said: "We will remain united until we have achieved our aim - the complete undergrounding of EirGrid's high power cables in the north-east. "More than 26 schools and over 20 GAA clubs are in the line of just one of the possible routes for the overhead power lines and this cannot be allowed to happen." A spokesman for Trim gardai said: "It was a well-organised protest which passed off very peacefully, with no disruption to traffic." Speaking at the protest rally, NEPP campaign coordinator Aimee Treacy said: "Our protest is a show of solidarity amongst the residents of the neighbouring counties of Meath Monaghan and Cavan. "If EirGrid's proposed line is not put underground, it will mean many other towns, villages and lands in the rest of the country may face a similar fate. "EirGrid is committed to a further 600 kilometres of cables and pylons anywhere from Donegal to Wexford and we must stop this happening," she said. Tomorrow, Wednesday, a delegation from NEPP will brief the Joint Oireachtas Committee on Communications, Energy and Natural Resources in Leinster House. The NEPP group will also make a submission to the international consultants appointed by the Government to report the case on overhead lines versus underground cabling. TIMING is everything and, for Ray Grehan, Seán Dunne, Jerry O'Reilly, and David Courtney, this is especially true in Ballsbridge, where there are billions at stake for the wealthy property developers. Last month, Dublin City Council unveiled its plan for the future of Dublin, entitled Maximising the City's Potential: A Strategy for Intensification and Height, in which various areas in the capital have been earmarked for high rise development. Bizarrely, considering the type of development plans currently being processed for Ballsbridge, the D4 area was not included for any high-rise designation. Thus, if the Council's plan - which is on display until March 7 - is indeed adopted, Ballsbridge should be free of any high-rise. However, happily for Ray Grehan, his application for a 15-storey building on the site of the former vet college on Shelbourne Road was dealt with this week under the current Dublin Development Plan, with Council planners greenlighting the Grehan tower (‘Number One Ballsbridge'). The story is the same for the Dunner's €1bn plan to "bring Knightsbridge to Ballsbridge", complete with 37-storey signature tower. He must be delighted to see Grehan getting the all-clear, given that it is more than likely that both schemes will be developed in tandem. Grehan paid out €171m for his 2.2-acre site, which works out at €57m an acre, while just down the road, Jerry O'Reilly and David Courtney broke all records when they lashed out €95m an acre for the six-storey Faculty Building, which sits on just half an acre. This has already been the subject of a rejected planning application and the boys will need to move fast if they are to get a new plan approved ahead of the adoption of the new high-rise plan for the city. A NEW world class pier and beach lagoon for the old Dun Laoghaire baths site was unveiled yesterday as an alternative to controversial high rise apartments. The plan was outlined at a special briefing meeting yesterday for Dun Laoghaire-Rathdown councillors. Consultants Royal Haskoning and Murray & Associates made a presentation of the main findings and recommendations in their feasibility study on the East Pier to Sandycove Coastal Amenity Project. Two different concept schemes were presented to councillors who wanted to examine the feasibility of a major world-class environmental/amenity improvement scheme at the location, which includes the Dun Laoghaire Baths site. They were required to make provision for the proposed Sutton to Sandycove (S2S) walkway project. A key recommendation made by the council is that the project should not have any high-rise or residential element, but that it should seek to complement the coastline and offer a modern local tourist attraction in the area. • A new lagoon in Dun Laoghaire. • A lagoon beach constructed adjacent to the East Pier with a linking pedestrian bridge. • An aquatic play area on the old baths site with a civic space and a building with a restaurant, providing for alternative therapies. • An underground car park with up to 500 spaces. • New upper and lower walkways along entire sea frontage with plaza and viewing areas. • The Sutton to Sandycove project along the entire route. • Limited land reclamation along Newtownsmith to facilitate civic amenities including the 'Festival of World Cultures'. • A newly landscaped Sandycove Park with water sports buildings. • Improved facilities for Sandycove Harbour. • New promenade and sandy beach over the East Pier to Newtownsmith section. • Construction of offshore and shore-connected breakwaters approximately 250m off shore. • An upper and lower walkway, which will provide walks along the frontage and access to the beachfront. • Accommodation of the S2S project along the entire route. • An increase in surface car parking at Newtownsmith. • Limited land reclamation along Newtownsmith to facilitate civic amenities, including the 'Festival of World Cultures'. • Newly landscaped Sandycove Park with water sports buildings. Both concepts will be presented to the public next week. Leonard Cohen is set to play an outdoor seated show in Dublin in June. The venue for Cohen's first Irish show in two decades is believed to be the Royal Hospital in Kilmainham. Last week, POD Concerts applied to Dublin City Council for planning permission to hold live shows at this location between June 13th and 20th, with "up to 12,000 people" expected to attend. POD Concerts held the Some Days Never End festival, featuring Kíla, The Frames, Pet Shop Boys and others, at the same venue last autumn. On The Record understands that Iggy Pop will also be headlining a show at the venue on June 16th with support from The Kills and Stiff Little Fingers. When contacted by The Ticket to confirm details of acts scheduled to be playing this series of shows at the Royal Hospital, a spokesman for POD Concerts declined to comment. Cohen's last Irish concerts were in June 1988, when he played two shows at Dublin's National Stadium. The influential 73-year-old Canadian singer-songwriter is due to be inducted into the Rock and Roll Hall of Fame on March 10th in New York. Cohen is expected to announce a full US, Canadian and European tour, his first in 15 years, in the coming weeks. He has already been confirmed as one of the headliners for this summer's Glastonbury Festival and is also expected to play a run of shows at London's O2 Arena. Cohen is believed to be working on a new album, the follow-up to 2004's Dear Heather, which may be released later this year. Last June, in an interview with HARP magazine, Cohen admitted he had "an itch" to tour again. "I haven't been out since '93. The years went by and I thought 'I'll never go out again.' But every so often you do have that itch. The actual concerts are always compelling. If you've got good musicians, and you're playing, and people know the songs, and they want to hear them live, it is a wonderful thing. And so I'm drawn to that." There's a sizeable musical element to this year's Cork French Film Festival (Reel News has more details). This includes Cine- Concerts with Dublin ensemble 3epkano providing a score for a screening of Jean Epstein's The Fall of the House Of Usher (Triskel, March 3rd) and Somadrone supplying the soundtrack for Chris Marker's La Jetée (Triskel, March 6th). Believe it or not, there is musical life after a spell in a boy band. Mark Sheehan and Danny O'Donoghue are former members of My Town, the Irish boy band who signed a huge record deal in the 1990s and released a debut album co-produced by Teddy Riley, but who failed to set the world alight. Sheehan and O'Donoghue, along with Glen Power, are now The Script, a band signed to RCA Records who are receiving a lot of attention thanks to their We Cry track, with BBC Radio 1 and music industry magazine Record of the Day tipping the band for bigger things. The Script are currently touring Britain supporting The Hoosiers. Residents of a tiny Donegal village on the border with Derry say they will fight proposals to build a new commuter town there. Plans are to be lodged with Donegal County Council shortly for 500 residential units as well as a hotel and school grounds in the centre of Killea. Belfast-based McAllister Holdings has confirmed it is preparing a master plan to develop a new "village centre" on a 47-acre site which is part of Toland's potato factory. Killea is a small village 7km southwest of Derry city on the Letterkenny road. Connemara community activists have urged Galway county councillors to review their rezoning of an area of woodland formerly owned by the late Lord Killanin on Spiddal demesne. The rezoning, approved by Connemara councillors last year, will have "significant adverse impacts on the mature broadleaf woodland" and on the flora and fauna of the Owenboliska (Abhann Boluisce) river, according to independent consultants who conducted an environmental study for Galway County Council. The material alteration to the draft local area plan for the Galway Gaeltacht was approved late last year by local authority representatives, following backing by Connemara councillors. However, the final Gaeltacht plan - including amendments - still has to be agreed and is listed for discussion at next Monday's local authority meeting. The council had advised against the rezoning, and had committed to a study of the area, given that both Spiddal House and its "curtilage" are listed as protected structures. Public access to part of the woodland had been permitted by previous owners, via a walkway along Abhann Boluisce, and the council recently constructed a footbridge across the river close to the shoreline which was facilitated by the current owner. Lord Killanin's lands and former family home just west of Spiddal village have passed through several hands since their sale during the lifetime of the former International Olympic Committee president. Michael Morris, the third Lord Killanin, died in 1999 at the age of 84 and was buried in Galway. He had spent his childhood on Spiddal demesne. On his return to Ireland after military service in the second World War, he rebuilt the house he had inherited from his uncle. Two of his sons still have homes in the area, and it is understood that planning approval had previously been granted for a house for another family member within the shoreline wood. Comhairle Pobail an Spideil, the Spiddal community council, says it has no problem with one house being built in the woodland for the current owner's family, if this is the issue involved in the current rezoning. However, Seán Ó Coistealbha, the council's spokesman, says it has appealed for retention of the zoning as amenity. Donncha Ó hEallaithe, a Connemara community activist, supports taking this action and says that no material alteration should be approved prior to completion of the proposed county council study. The current owner of the land was unavailable for comment. A multimillion-euro plan to transform Dún Laoghaire's coastline into a "world-class" tourist attraction was unveiled yesterday. Two designs for the site along the East Pier to Sandycove were presented to councillors at a private local authority meeting. "Concept A", which would cost €129 million, envisages a lagoon beach and a pedestrian bridge adjacent to the East Pier. An aquatic play area is intended for the old public baths site, alongside a civic space comprising a restaurant and spa. An underground car park with up to 500 spaces would be provided for visitors. "Concept B" would cost €92 million and involves provision of a new promenade and sandy beach from the East Pier to the Newtownsmith section. The works entail construction of offshore and shore-connected breakwaters approximately 250m (820ft) out to sea. A new water sports centre in a revamped Sandycove Park would feature. Either concept would be a massive undertaking and necessitate reclaiming one and a half acres of land from the sea. Councillors decided both should be presented for public consultation. Public interest is sure to focus on the future use of the derelict public baths - a controversial project in 2005 was the catalyst for the latest designs. Local conservation groups mobilised against a public-private, high-rise apartment proposal for the site. A petition of 15,000 signatures and several street demonstrations successfully called for the plan to be dropped. In June 2006, the council adopted a framework for the baths site, setting out a publicly owned amenity that excludes high-rise residential development. Royal Haskoning Engineers, an international maritime civil engineering group, was asked to produce a feasibility study and preliminary design for the coast from the East Pier to Sandycove, including the public baths. Management at Dún Laoghaire-Rathdown County Council now faces the challenge of raising finance for the project. Both design concepts accommodate the proposed Sutton to Sandycove promenade and cycleway. It is thought this will be beneficial when a likely appeal for EU funding is made. "The public said before they didn't want a private or residential development of the site and we listened," said Fine Gael councillor Mary Mitchell O'Connor. "Our big job now is to find the money for the imaginative and inventive plans." Sensitive personal and financial information, such as bank statements, social welfare information and pay slips submitted by individuals seeking planning permission, have been put online by local authorities. Olivia Kelly and Mark Hennessy report. Local authorities across the State have been publishing planning files on the internet, with the sanction of the Department of the Environment, for several years. This information could be accessed directly through a council's website, but also by typing an applicant's name into an internet search engine. Fine Gael TD Simon Coveney yesterday criticised the Government for failing to protect citizens' personal information. While many of these files just contain information about the development applied for and the name and address of the applicant or their agents, thousands of files contain personal information which anyone with internet access can view and retain. This information is typically attached to applications made by individuals for one-off rural housing, where applicants have been required to show a long-standing link to the local community and a need for housing within that community. Applicants have submitted receipts of social welfare payments and letters from parish priests detailing their personal circumstances and family history in order to support applications. Among the other information available to view online are details of bank accounts, including account numbers and balances, credit card bills, pay slips, Revenue information, including PPS numbers, and medical reports. These planning files are not only available online while the application is "live", ie until the planning authority has made a decision whether or not to grant permission, but remain on the council's website in perpetuity. The Office of the Data Protection Commissioner said it began receiving complaints in relation to planning applications being posted online in mid-2006 after a number of people were contacted by companies who had secured their details online. "People were being exposed to direct marketing from building societies or DIY firms who had got information from planning applications that they were building a house," assistant commissioner Tony Delaney said. The commissioner's concerns were brought to the Department of Environment which agreed to develop new regulations and issue new guidelines to local authorities. "The new guidelines state that pay slips, bank statements, or any extraneous personal data which are not relevant to the application should not be accepted as evidence. "There is also a box on the application that people must tick if they want to receive direct marketing," Mr Delaney said. Local authorities have also been instructed to block the information from the searches of websites such as Google, Mr Delaney said. The new guidelines came into force last year. However, they do not apply to applications made before this date and personal information remains online unless an applicant specifically requests its removal. Fingal County Council, which has been placing information online for around five years said it has up to 10,000 files online and it would not have the resources to review them. The council said it was changing its application forms to ensure people were aware that the information received would be published online. However, Mr Coveney said the Government should ensure that such sensitive personal data is not stored online. Cork County Council has begun disciplinary proceedings against a council official following an inquiry into a controversial land sale in north Cork in which the council negotiated to buy land for €11.6 million that had earlier been on sale for €8 million. The council yesterday confirmed it had completed an internal inquiry into its planned purchase of 20 acres of land zoned for housing at Deerpark, off the Limerick Road in Charleville, north Cork, for €11.6 million in April 2006. In a statement it said: "A disciplinary process has now commenced into the conduct of an official and a statement is being prepared for An Garda Síochána. It is anticipated that the disciplinary process will take in the order of three months to complete." The council decided in May 2006 not to proceed with the purchase, leading the vendors, Brian Cremin and Denis O'Reilly, to sue the council. A settlement was reached in the commercial court of the High Court, under which the council bought the land for €9.75 million rather than the purchase price of €11.6 million. Yesterday the council confirmed its internal inquiry has continued since the court settlement and "a comprehensive and in-depth investigation" had been completed. Proposals to redevelop Dún Laoghaire baths as part of a €129 million scheme to provide new beach and aquatic facilities at Sandycove were given a guarded welcome by local councillors and the campaign group Save Our Seafront. Save Our Seafront, which in recent years opposed public- private partnership plans to redevelop the baths, said it did not see why the redevelopment scheme for the baths had been linked to a separate plan to establish a Sandycove to Sutton promenade around Dublin Bay, which it said appeared to have inflated the overall costs. Save Our Seafront spokesman Richard Boyd Barrett said however that the scheme represented a "180 degree turnabout" on previous plans to redevelop the baths with the inclusion of a multi-storey apartment block. Consultants Royal Haskoning and Murray & Associates yesterday presented councillors with the main findings and recommendations in their feasibility study on the "East Pier to Sandycove coastal amenity project". Two different concept schemes were drawn up for the purpose of discussion, with agreement that both concepts would be put on public display. Concept A is known as the "Dún Laoghaire lagoon" and involves a lagoon beach constructed adjacent to the East Pier, with an "aquatic play area" on the old baths site, among other facilities. Concept B would involve the creation of a new artificial beach at Newtownsmith beach and the construction of offshore and shore-connected breakwaters approximately 250m offshore. Both concepts incorporate parts of the Sutton to Sandycove promenade. Mr Boyd Barrett told The Irish Times that while Save Our Seafront welcomed the public facilities, the group had a number of significant questions about the development and was disappointed not to have been given copies of the plans. He claimed that plans had been deliberately kept from the group to "stage manage the launch". However, Cllr Jane Dillon Byrne, who chaired the council's baths subcommittee which briefed the consultants, said the proposals were only conceptual and public comment was actively being sought. Ms Dillon Byrne said she had also opposed the previous public-private partnership proposals for the baths as the council had wished to keep the coastal side of the coast road free from development. The problem with Dún Laoghaire baths had been that they were "in the shade for most of the day, unlike Blackrock baths. But at least the concept put forward now seems to have the swimming areas where they would get direct sunshine". Referring to the baths' dilapidated condition, she said it was clear that something needed to be done. But she insisted that public access rather than commercial gain would have to be the over-riding criteria and she called for people to make positive suggestions for public use of the site. "Unfortunately, we have people who are usually against everything while being in favour of nothing," she added. Judgment was given by Mr Justice O'Higgins on January 14th, 2008. A local authority cannot be compelled to take action under the Derelict Sites Act 1990 in relation to a house in a derelict condition, even if it could become dangerous in the future and cause significant problems for neighbouring properties. The case was taken by some of the owners of Nos 17 and 21 Northumberland Road, Dublin, to force Dublin City Council to take action under Section 10 of the Derelict Sites Act 1990 regarding the condition of No 19 Northumberland Road, which lies between Nos 17 and 21. All three houses are listed, though this was not a major feature of the case. Section 10 of the Act states that it shall be the duty of a local authority to take all reasonable steps, including the exercise of statutory powers, to ensure that land in its area does not become, or continue to be, a derelict site. This is defined as any land which detracts to a material degree from the amenity, character or appearance of land in the neighbourhood. The dispute arose out of the failure of the owners of No 19 Northumberland Road to maintain the premises. The house is the subject of an unresolved legal dispute between members of the King family. It became vacant when its then occupant, Cecil King, died in 2003. In October of that year it was damaged by fire caused by trespassers. It continued to deteriorate and there were a number of attempts to break into it. The applicants first drew the attention of the city council to the state of the house in 2001, asking it to intervene, particularly in the light of the architectural heritage of the three protected houses. Further correspondence took place in 2005, during which one of the applicants indicated that proceedings would be instituted if nothing was done. The council's dangerous buildings department visited the house, and as a result the King family replaced four windows destroyed in the fire. However, the applicants maintained that the respondent did not appreciate the urgency or seriousness of the situation, and was not doing anything further. It was not disputed that the house was "dilapidated, run down, neglected and in very poor condition internally and in urgent need of refurbishment". It was also conceded by the council that it was in a "derelict condition", but not that it was a "derelict site" within the meaning of Section 3 of the Act. An affidavit from an engineer for the applicants stated that wet and dry rot were extremely active throughout the building; that it was attacked by insects such as weevil and woodworm and that it was vitally important not only for the well-being of the building in question, but of the adjacent building, No 17, that urgent control measures be put in place to stop water getting in. Expert witnesses for the applicants and the respondents disagreed on whether the building was dangerous. Mr Justice O'Higgins said the issue was whether it was the responsibility of the council to prevent the ingress of water and the spread of rot. "I consider that the duties imposed by S. 10 of the Derelict Sites Act are expressed in clear and unambiguous terms and the question for determination by the court is whether the respondent has been shown to have neglected to perform that duty, and whether the court should compel it to do so by order of mandamus," he said. He said that inspections had been carried out on 10 occasions from 2005; that notices were served under S. 8 (2) of the Act, notifying the proprietors of intention to visit the affected property; that four windows had been replaced as a result, following which the council maintained the building had been rendered non-derelict; it had also been examined by the Dangerous Building section of the city council and propping works were carried out. The Act refers to "land in the neighbourhood," he said, and "it would be unduly strained and artificial to describe the presence of damp and ingress of water and future danger of spread of rot as matters detracting or likely to detract from the amenity character or appearance of land in the neighbourhood". There was nothing in the Act to suggest that it intended to impose a duty on the council to exercise the duties of the owners of the premises. The Act allowed the council to serve notice on the person appearing to be the owner of premises calling on them to take action to remedy the situation. Only if they failed to do so could the local authority take action itself, he said. Under the Local Government (Sanitary Services) Act 1964 the council had powers in relation to dangerous buildings. If a building was dangerous the court could order the council to serve notice on the owner or occupier, but it would be wrong for the court to act on the presumption that there would be non-compliance with that notice. He said that if the premises continued to be totally neglected it probably will at some future date become dangerous, but it would be inappropriate to grant a mandatory injunction on the assumption that the respondent, who is already monitoring the situation and who had already taken action, would not do so in the future. "The building, although in a rundown and seriously neglected condition, is not a 'derelict site' within the meaning of S. 3 of the Derelict Sites Act. It is not open to me to find that it is a dangerous building. It follows that the respondents are not in default of any of their obligations under S. 10 of the Act. This application must, therefore, fail," he concluded. The €365 million redevelopment of Lansdowne Road stadium is on schedule to be completed by April 2010, according to the developers. The public was given a first glimpse of progress on Saturday when busloads of local Dublin 4 residents were shown around the site. Work on the 50,000-seat stadium began in May last year. It was originally envisaged that it would be completed by the end of 2009, but that was delayed because of difficulties in getting planning permission. The main contractor, Sisk, has been given a completion date of April 2010, after the end of the RBS Six Nations tournament and at a time when there will be no major World Cup qualification games. Project director Michael Greene said: "We're well on target, but it's a very tight programme. By finishing in April 2010, we won't be under major pressure to get something on very quickly in the stadium. You have to have warm-up events and make sure that everything is running properly." The foundations and first floor of both the new east and west stands have been completed. By late March all the foundations on the stadium footprint will be finished. This week work will start on the grand stairs, which the stadium developers hope will become an iconic feature of the new stadium. It will be built over the rail corridor for the Dart and will take fans to podium level in the new west stand by stairs and by escalator. An underground car park for 300 cars, which includes 200 disabled places, will be completed by June this year. It will be used as a temporary car park for workers on site, and a new back pitch will be built on top of it. The current number of 360 workers is set to rise to 1,000 later this year when the steelwork begins. Sections of the east and west stands will be up to roof level by July, when the roof steel will be put on. It is envisaged that the horseshoe outline of the stadium will be apparent as early as September this year. "The finish shape will be on the horizon. You'll see the shape from the structural steel," Mr Greene said. The roof will be the last part of the superstructure to be completed. Most of 2009 will be devoted to the internal fittings. The pitch will be laid in August 2009 and will be ready in March 2010. Residents, many of whom bitterly opposed the project, were largely supportive of the development on Saturday, though some complained of late-night working and the presence of rats. Local area councillor Dermot Lacey, who is on the project management committee, said: "It has impacted on local residents more than we thought it would. Personally, I would like to see a little bit less night-time working, though, in fairness, the stadium company has tried to respond to issues as they occur." Stadium spokesman Roddy Guiney said the IRFU and FAI were satisfied the development was on budget. The number of companies being considered for naming rights to the stadium has been whittled down from 18 to eight, and the winning bidder will be announced by the end of the year. The rights will cost €60 million and will last for 15 years. "The level of interest has been very positive and reflects the fact that there won't be an opportunity like this around for a long time to come," said Pádraig Slattery of Slattery PR which is handling the naming rights along with the London-based company Wasserman Media Group. Two of the four TDs for Dublin South East have denied they object to social and affordable housing in Sandymount after they opposed plans by developer Sean Dunne for the provision of 15 apartments in the area. A planning application for the four-storey infill scheme at the rear of the Winfield car showrooms on Church Avenue has been lodged by developer Sean Dunne, who is awaiting planning permission for a mixed-use development with a 37-storey tower at the Jurys/Berkeley Court site in Ballsbridge. Mr Dunne has undertaken to provide up to 80 social and affordable homes within the Dublin southeast region, depending on the number of apartments eventually approved for the hotel sites. The planning application seeks permission for his first scheme of social and affordable homes on the site of a vacant, detached bungalow and a former community hall on the south side of Church Avenue. Twelve of the apartments will be two-bedroom homes, there will be one three-bedroom unit, a one-bedroom home with a study and another apartment with a single bedroom. The proposed three-storey block with one storey set back will have a basement car park and a landscaped open space at ground-floor level, including a children's play area. Objections to the development have been lodged by not only Mr Andrews and Ms Creighton but also by councillors John Kenny (PD) and Paddy McCartan (Fine Gael). The Sandyford and Merrion Residents' Association is also opposing the apartment scheme. Mr Andrews said not only was he not opposed to the provision of social and affordable homes in Sandymount but he would welcome more of these units in the area. He was more concerned about "the tightness of the space" on the Church Avenue site and local residents had a right to express their concern. "There are very few planning applications that are not altered in some way." Mr Andrews's letter of objection to the planning application said the proposed scheme was out of scale with existing buildings in the area, would "diminish residential amenities" and would set a bad precedent for the conservation of urban villages. Asked whether she was opposed to the plan to develop social and affordable housing in Sandymount, Ms Creighton said "absolutely not" . Families in Sandymount would prefer to see their children getting a home locally rather than having to move out to places such as Clondalkin. She said some families living beside the Sandymount site were concerned about their homes being overlooked and wanted the proposed development reduced in height. Ms Creighton's written objection claimed that the apartment block would "overlook and overshadow" the houses and gardens of neighbouring properties "and will have a visual impact on the residents". The extra traffic would put further pressure on the already overloaded network. The residents' association said the development was out of character with the surroundings in terms of height, density, scale, design and materials used. It would also exacerbate traffic problems. In other areas of Dublin the surrounding properties in Church Avenue and Tritonville Road would be considered worthy of preservation by reason of their architectural surroundings. PLANS to build social and affordable apartments in an exclusive area of Dublin 4 have hit a major stumbling block following cross-party objections from two TDs and two local councillors. Fine Gael TD Lucinda Creighton and Fianna Fail TD Chris Andrews have both sent letters to Dublin City planners opposing the development, as have Fine Gael Councillor Paddy McCartan and Progressive Democrat Councillor John Kenny. Developer Sean Dunne had hoped to build the 16 apartments on Church Avenue in Sandymount in order to fulfil his obligations to provide affordable housing as part of the redevelopment of the Jurys Berkeley Court site in nearby Ballsbridge. individual local residents, could yet imperil the plan to provide much-needed homes for young families from the Ringsend area looking to get their first foothold on the property ladder. Ms Creighton's objection to the modern four-storey apartment block, on the grounds that it "would not be in the interests of the proper planning and sustainable development of the area", is especially surprising, given her recent comments on the property market in this newspaper. In an interview for the Sunday Independent's Paper Prophet column on January 6, Ms Creighton -- who earns a basic TD's salary of €108,500 -- complained of not being able to "secure a mortgage", claiming that the "property market [in Dublin] is simply out of my league" because of the "spiralling house prices". Ms Creighton's opposite number in Dublin South East, Fianna Fail TD Chris Andrews, objected to the social and affordable homes on five separate grounds. In his email sent to Dublin City planners on January 30, Mr Andrews complains that the development would be out of scale with the existing area, had been objected to by local residents, and would set a bad precedent for the conservation of urban villages. Fine Gael Councillor Paddy McCartan complains the apartments are not designed for families, with only one three-bedroom apartment proposed for the development. According to the planning files obtained by the Sunday Independent, PD councillor John Kenny took time out during his lunch hour at Brown Brothers Harriman Investment Bank to lodge his objection to the development at Church Avenue. In a letter sent from his work email address at 1:56pm on January 31, Mr Kenny objects to the development on four grounds, claiming it goes against the provisions of the current Dublin City Development Plan. One of Mr Kenny's principal arguments is that the proposed apartment development "does not protect the historic nature of the [Sandymount and Irishtown] area". Besides his proposals for social and affordable housing on Church Avenue, Sean Dunne has so far pledged another two sites in the Dublin docklands area to Dublin City Council for the same purpose. The inclusion of social and affordable accommodation on the site of the former Jurys Berkeley Court lands in Ballsbridge is understood to be unfeasible, given the likelihood of significant management and concierge fees that will be levied on the apartments built there. Work on the Metro from Dublin city centre to the airport is to start, even though a builder has not been picked. Transport Minister Noel Dempsey has received Cabinet approval for the necessary Exchequer funding to be used to fast-track construction of stations at the new Mater Hospital and at Terminal 2 in Dublin Airport. The RPA will now go ahead and build the station boxes at the Mater and Dublin Airport. If they waited for the successful bidder to build these stations, it would cause significant disruption at both the Mater and the airport, as construction on the new hospital and new terminal would be already underway. By giving the green light to the RPA now to get construction underway, disruption will be minimised at both locations. The Irish Independent has learned that the RPA is to invite the four international consortia that have pre-qualified to tender for the Metro North project to engage in a technical workshop in advance of inviting them to formally bid for the project. It is understood that the Rail Procurement Agency (RPA) will have to delay lodging its Railway Order Application to An Bord Pleanála by up to three months, because the design for Metro North is not sufficiently detailed for the purposes of a planning application. The RPA had planned to lodge the application to the Board early this year under new legislation which allows for the 'fast-tracking of strategic infrastructure projects, but it could be the summer before the design is complete. This could result in a delay in Metro coming on-stream. Construction work was due to be completed by 2012, but the newapaper has learned from informed sources that it is likely to be 2013 before work is finished. However, Minister Dempsey secured Government approval for the RPA to begin enabling works on the construction of the station sites at the new Mater Hospital and Terminal 2 in Dublin Airport. The Government has now agreed the financing structure of the project, so that the RPA can proceed with the bidding process. The Metro will be the largest infrastructure project currently under way in Europe and the Minister said he was pushing to get it delivered as quickly as possible - adding that the Metro was vital as a cost-effective public transport alternative to get people out of their cars. "We can't let cars continue to pour onto our streets. It's unsustainable, it's causing traffic gridlock - costing the economy millions and people precious time" - he added. The proposed route for Metro North would serve areas where the population is expected to double in the next 20 years. Ireland's failure to insist on environmental impact assessments before major development projects are carried out, will be scrutinised by the European Court of Justice (ECJ). The European Commission brought an action against Ireland in May 2006, claiming that the government had failed to comply with its obligations under the 1985 Impact Assessment Directive. The Commission complained that Ireland did not require checks to be carried out before major projects begin and allows environmental impact assessments to be carried out after work has already started. The Commission stated that the system in Ireland - which allows developers to seek retention permission for unauthorised developments - undermined the preventive objectives of the directive. The European Commission alleged that 'particular deficiencies' in relation to environmental impact assessments for a wind farm at Derrybrien, Co Galway, amounted to 'a manifest breach of the directive'. Towns and cities need to be radically redesigned to help tackle the obesity epidemic, scientists were told yesterday. Professor Philip James, chairman of the International Obesity Task Force, a London-based think-tank, called for a revolution in urban planning to encourage people to use cars less and public transport more. He told a conference of the American Association for the Advancement of Science in Boston that it was naive to expect people to lose weight by making better choices about diet and exercise when their surroundings encouraged inactivity. Urban designers had created an "obesogenic environment" by planning public spaces around the car. Transport systems that made it easier to drive than to walk, cycle or take public transport were the worst contributors to obesity. He also blamed the rise of desk-bound office work and sedentary leisure activities such as watching television, surfing the internet and playing computer games. Lifts and escalators, and even labour-saving devices such as electric toothbrushes and can-openers added to the problem. "Blaming individuals for their personal vulnerability to weight gain is no longer acceptable in a world where the majority is already overweight and obesity is rising everywhere," said Professor James. "It is naive of ill-informed politicians and food industry executives to place the onus on individuals making 'healthier choices'." Over half the workers at the Arnotts stores on Henry St and Boyers on North Earl St in Dublin city centre are to lose their jobs, Mandate trade union said this afternoon. Talks are being organised to discuss the plan to make around 580 workers at the two stores redundant in order to make way for the construction of the new €750-million Northern Quarter development. It's a sad day for a lot of Arnotts' and Boyers' loyal staff who've given years of loyal service to the company and its customers. Redundancies had been expected and last month an unconfirmed figure of 400 was reported. The scale of today's figure was not expected and Mandate assistant general secretary, Linda Tanham said most of the redundancies will be compulsory. "It's a sad day for a lot of Arnotts' and Boyers' loyal staff who've given years of loyal service to the company and its customers. The development of the Northern Quarter is coming at a huge cost to these workers and their families," Ms Tanham said. In a separate development, An Bord Pleanala has deferred it decision on the planning application due to volume of work and has not set a new date for its adjudication. An Bord Pleanala said the deadline had been put back due to the volume of work, with a new date not yet fixed. "I don't see that decision being made this week and I don't see it being made next week under any circumstances. I don't see anything happening for the next five to seven working days," a spokesman said. Labour TD for Dublin Central Joe Cotello said the company should put a stay on the redundancy plan pending the outcome of the board's deliberations. He said the stores were "historic and landmark retailers" drawing many of its staff from the north inner city. "The loss of so many jobs in one fell swoop will have a devastating effect on employment in an area where unemployment is traditionally very high," Mr Costello said. The redundancies do not include those working the concession stands at Arnotts, and the overall figure is likely to top 600. Boyers will close at the end of June and reopen in August as Arnotts at Home dealing mainly in furniture. Arnotts Henry Street store will close at the end of August when construction of the Northern Quarter is due to begin. Over 900 people are employed at Arnotts and those retained are due to transfer to the nearby Debenhams store in the Jervis Street Centre, which will be re-branded following its purchase by Arnotts last year. A spokesperson for the company was not available at the time of writing. The Northern Quarter is due to take three years to complete, opening in 2011 with a larger store employing 1,000 people. The 650,000-sq ft development is to be built on a 5.5-acre site between Middle Abbey St and Henry St. It is due to comprise of 47 shops; 17 cafes, restaurants and bars; a 149-bedroom four-star hotel and 175 apartments. An Bord Pleanála this week deferred it decision on the planning application due to volume of work and has not set a new date for its adjudication. "I don't see anything happening for the next five to seven working days," a spokesman said. Eight parties have appealed planning permission for quarter, including An Post, An Taisce and the Rail Procurement Agency. Fine Gael Enterprise spokesman Leo Varadkar was also dismayed at the scale of the job losses. "This is a terrible blow for the staff and for Dublin as a whole. Although job losses had been expected for some time, no-one expected that the lay-offs would be this significant," he said. Those laid off be given preference when the company starts hiring again on their current terms and conditions, he added.